Who says convenience can't be chic? 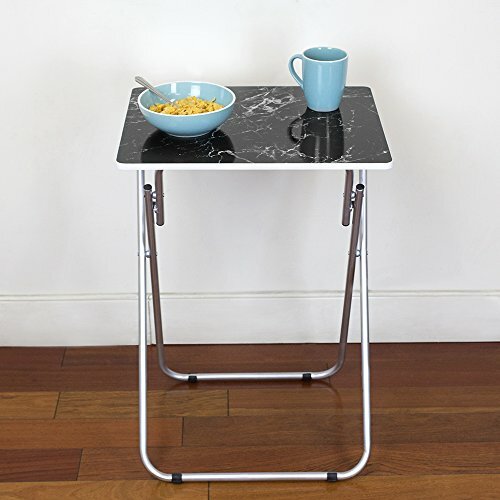 Decorate your home with the Folding TV Tray Table in Black Marble from Home Basics. 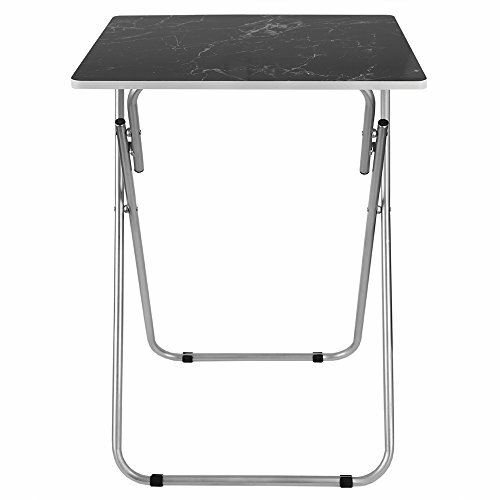 This folding table comes with sleek steel legs and a laminated plastic surface decorated with a chic black marble surface. Not only can the trendy pattern complement any home decor, but the table can be easily wiped down and folded away for storage. 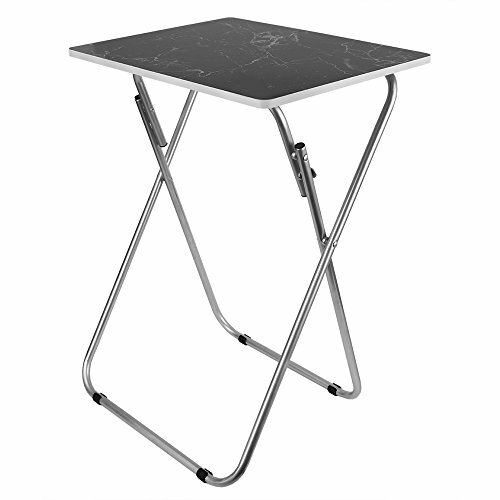 Whether you're eating dinner, working on homework, or watching TV, finish your home with the Folding TV Tray Table from Home Basics. 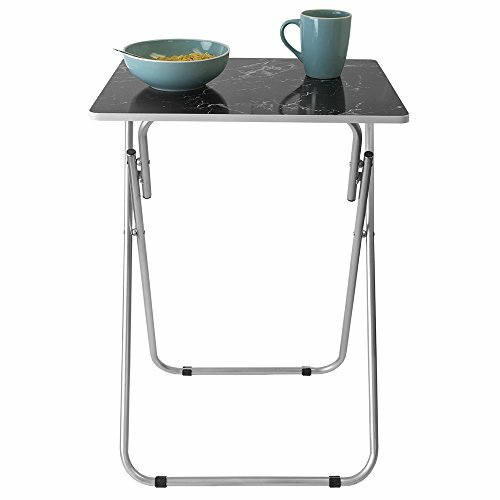 Take a tray table, give it a stylish makeover, and add a nifty folding feature and you have the perfect addition for small spaces. 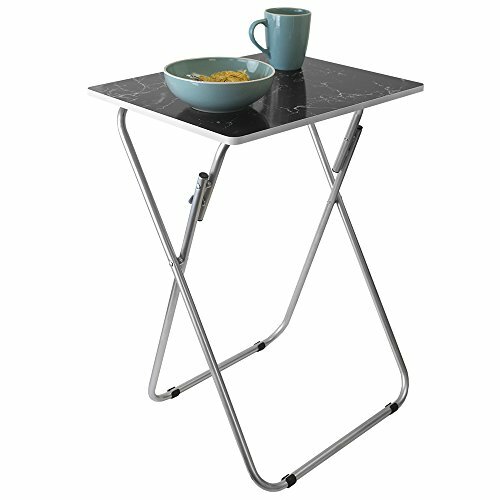 The Home Basics Folding Tray table comes in an array of chic patterns and vibrant colors that is sure to be a crowd pleaser whether serving snacks during game time or holding cocktails at a party. 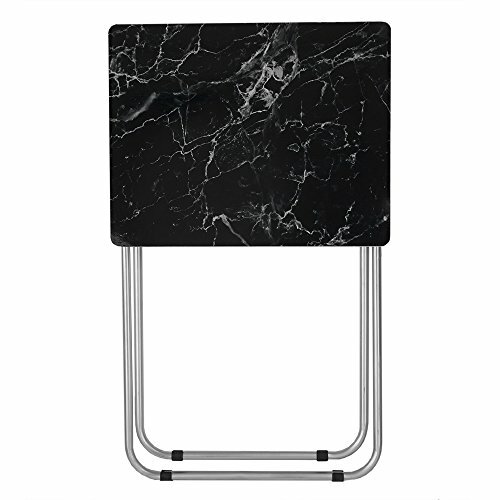 Lightweight in design, polished steel legs, an easy-wipe laminate surface, and padded feet make it the as practical as it is chic. Measures 19" x 15" x 26"